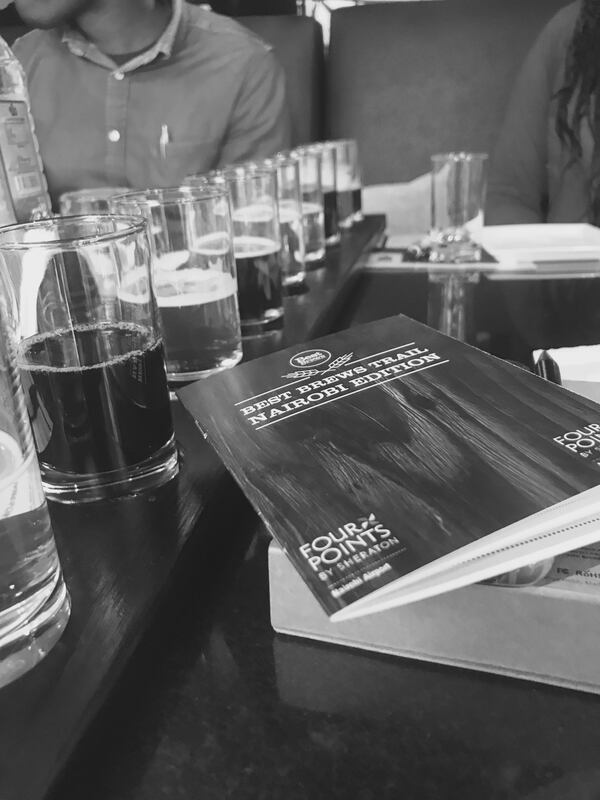 Four Points’ Best Brews Around the World celebrates the brand’s signature initiative, a dedicated program in which each of the brand’s 225+ hotels around the world showcases a local, craft beer which has been chosen based on taste, popularity, quality and proximity to the property. A Best Brew is available on tap at every Four Points, offering travellers an authentic taste of local beer culture wherever their travels may take them. 2017’s global trail kicked off in Manhattan, followed by Cancun Mexico, Okanagan Valley Canada, Melbourne Australia, stopping off in Nairobi and culminating in Barcelona, Spain. As the only city on the African continent to be joining this trail, Four Points by Sheraton, Nairobi was excited to showcase our love for beer and travel to the international community. In Nairobi, we like to push boundaries with our passion for local artisans. In this spirit we collaborated with the Big Five Breweries to create our own signature craft beer that carries serious flavour. An exciting day of adventure for 20 invited influencers that commenced with a tasting of the signature Four Pils brew along with a cook-off beer inspired lunch at the Four Points by Sheraton, Nairobi Hurlingham property. This was followed by a private tour of the Big Five Breweries micro-brewery. Naturally, no trail in Nairobi would be complete without taking in the views of our National Park and scenic green savannah. Guests were treated to a surprise helicopter ride crossing the city and out to the Ngong Hills. The trail culminated with an exclusive preview at the Four Points by Sheraton, Nairobi Airport hotel.